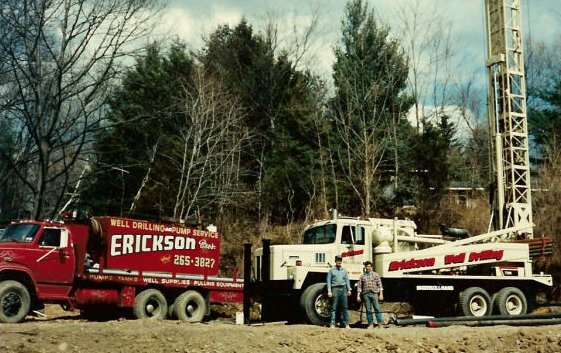 ﻿ Erickson Bros. Well Drilling - About Us. Drilling & Servicing wells throughout the Putnam, Orange, Westchester, and Ulster Counties for over 25 years. NYS Licensed Well Drillers with Putnam County Plumbing Board licenses for Well Drilling, Pump & Water System Installation, Water Filter Installation. Offering a full line of service programs and contracts for peace of mind in the future. Complete line of Well Supplies in stock. Providing a personal and friendly service eager to discuss various options and to help you with your Water System needs. Benefit from our knowledge and many years of experience.